Rachael Bontrager's flower garden is beautiful, but at twenty-four, she's lonely. Gideon Beiler fell in love with Rachael almost at first sight. 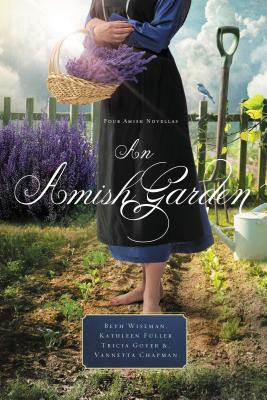 After her grandfather has a stroke, her days are filled with caring for him, and one day Rachael finds her garden in shambles. However, she won t accept Gideon's offers of help. Will she realize she doesn t have to do everything on her own and that God is in control? Sadie Chupp finds her greatest joy in the greenhouses in her Montana community. A company is interested in buying her heirloom seeds, but they are the only thing she has left from her deceased parents. Eli Plank is a traveling bachelor who believes he can help Sadie, but a misunderstanding leaves her heartbroken. Will she trust him again, and let the seeds of a new relationshiptake root? Rosemary Lantz is doing her best to run her family's household. She excels at all her tasks except one: gardening. Saul Petersheim has pursued Rosemary for years, but Rosemary keeps turning him down. What Saul doesn t know is that she has good reason something no one can know especially not him.